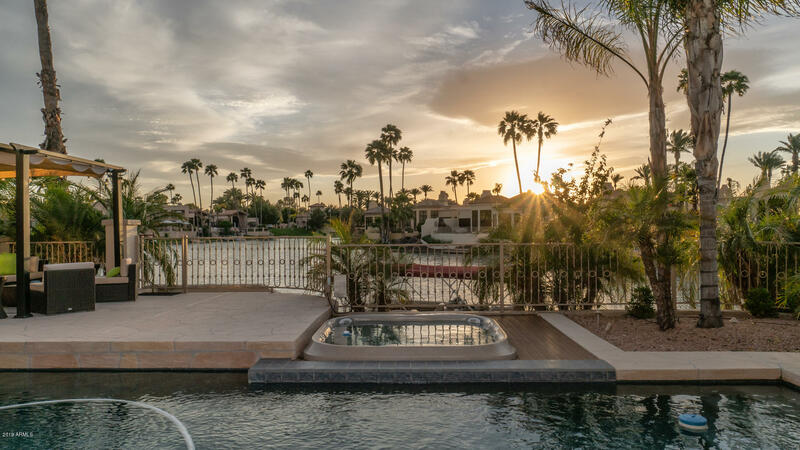 All ISLAND AT SCOTTSDALE RANC homes currently listed for sale in Scottsdale as of 04/23/2019 are shown below. You can change the search criteria at any time by pressing the 'Change Search' button below. "Spectacular Lake Serena waterfront property in the privately gated Island at Scottsdale Ranch. This renovated home boasts an abundance of natural light paired with amazing indoor/outdoor living that can be enjoyed all year! Meticulously maintained grounds with large windows framing the picturesque views of your private pool, spa, boat dock, and Lake Serena. Thoughtful floorpan provides ample opportunity for entertaining and enjoying the views. 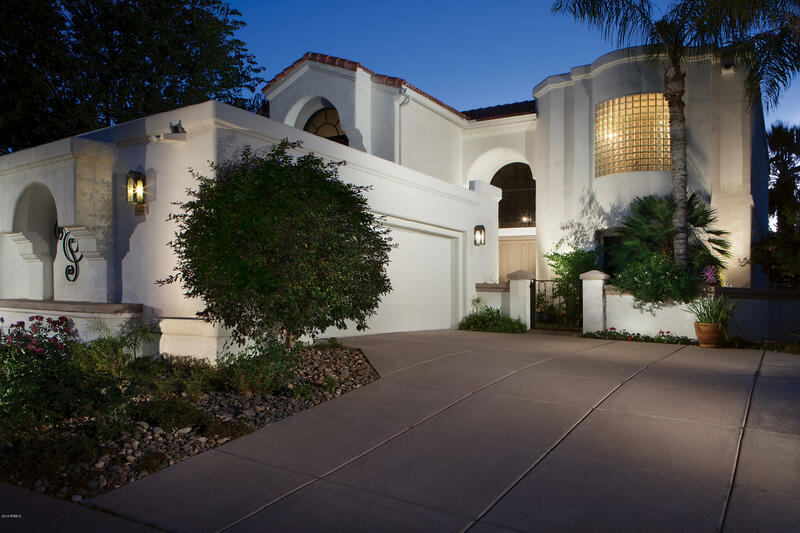 This home features automatic shades throughout for e"
"Carve out an incredible life in this stunning waterfront home that is nestled in the most livable city of Scottsdale! Upon entering this home, you are greeted with high end plush carpeting, cozy fireplace, soaring vaulted ceilings, stone flooring and soothing paint palettes! The kitchen boasts a breakfast bar, 2 wall ovens, tiled backsplash, warm wood cabinetry, pantry, plant shelving and soothing countertops! The spacious bedrooms offer plenty of room for sleep, study and storage with one room "
"Wonderful lock & leave winter retreat in the popular Island at Scottsdale Ranchcommunity. REMODELED Edmunds semi-custom home. Complete renovationwith the finest finishes & upgrades. The popular Marquesa model is located in thedesirable Iake community close to Lake Serena. Lush landscaping greets you asyou enter the gated courtyard through the custom iron gate. Warm tonesthroughout are accented with oil rubbed bronze fixtures, crowning molding, handcrafted iron handles on kitchen cabinetry, large"